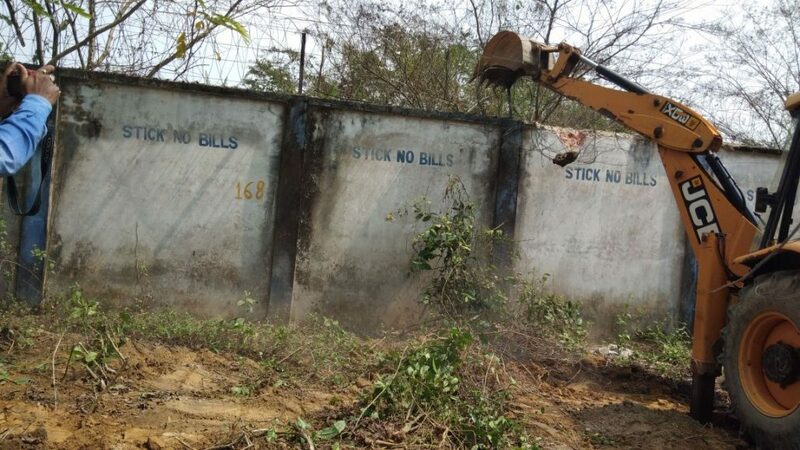 The Golaghat district administration on Tuesday launched an eviction drive at Numaligarh Refinery Limited (NRL) campus here and dismantled a boundary wall of the refinery that blocked an elephant corridor in Deopahar reserve forest in Golaghat district. The boundary wall, which was constructed by NRL authorities for expansion of its township, was demolished by district administration following the National Green Tribunal (NGT). The National Green Tribunal (NGT) on August 24, 2016 had asked the NRL to demolish the wall. 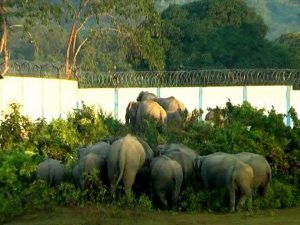 The National Green Tribunal had also directed NRL to pay Rs 25 lakh to the forest department, pull down a part of the boundary wall and barbed wire within a month to free an elephant corridor and plant 10 times the number of trees it has destroyed. The tribunal also asked the state government to declare Deopahar forest, in Golaghat district and adjoining Kaziranga National Park, a reserve as proposed by the forest department in 1999. The order went in favour of Rohit Choudhury, a resident of Garmur, Bokakhat, in Golaghat district, who had in 2015 filed a petition (No. 787/2015) urging the tribunal to declare Deopahar forest a reserve and had alleged encroachment by NRL, while expanding its township, of an elephant corridor that passes from Kaziranga to Karbi hills through Deopahar forest.